The Cohen family’s McMansion from the popular TV show “The O.C.” is on the market, but the only thing you’ll recognize is the front of the house. 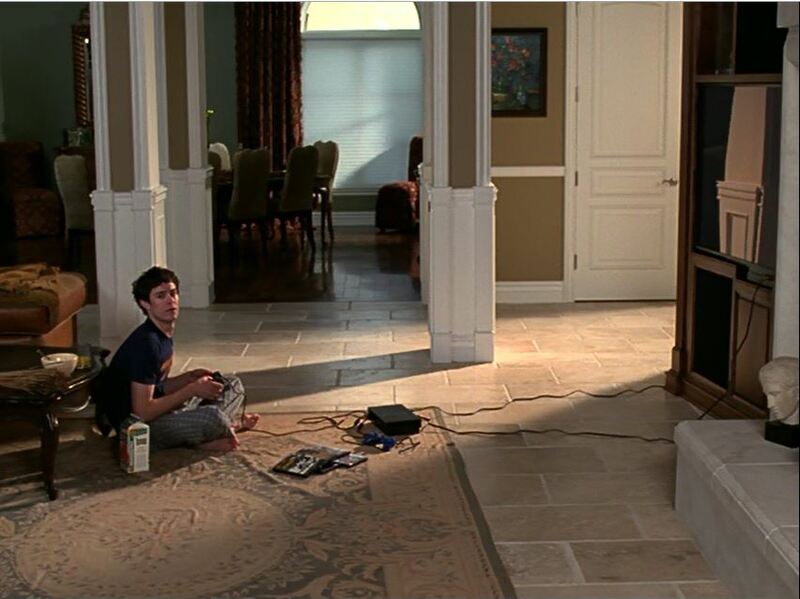 Even that has changed quite a bit since the series ended in 2007. They actually used another house down the street from this one for the interiors and backyard, and I tracked down some photos of it, too. Let’s take a look! 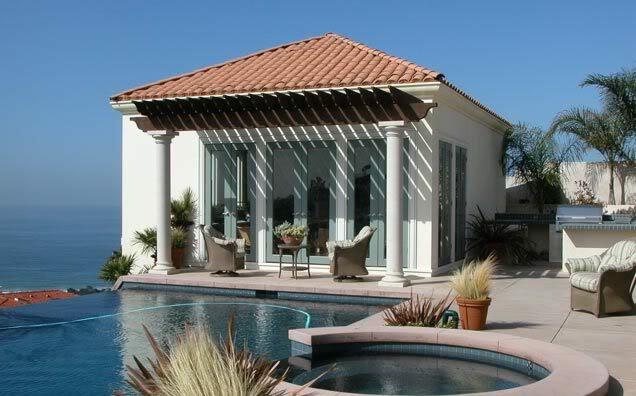 Sandy, Kirsten, Seth and Ryan lived in Newport Beach on the show, but the real house is in Malibu. The “Gated Italian Villa,” as the listing calls it, is on the market for $6.25 million. It looked a little more contemporary and a little less “Italian Villa” 12 years ago. 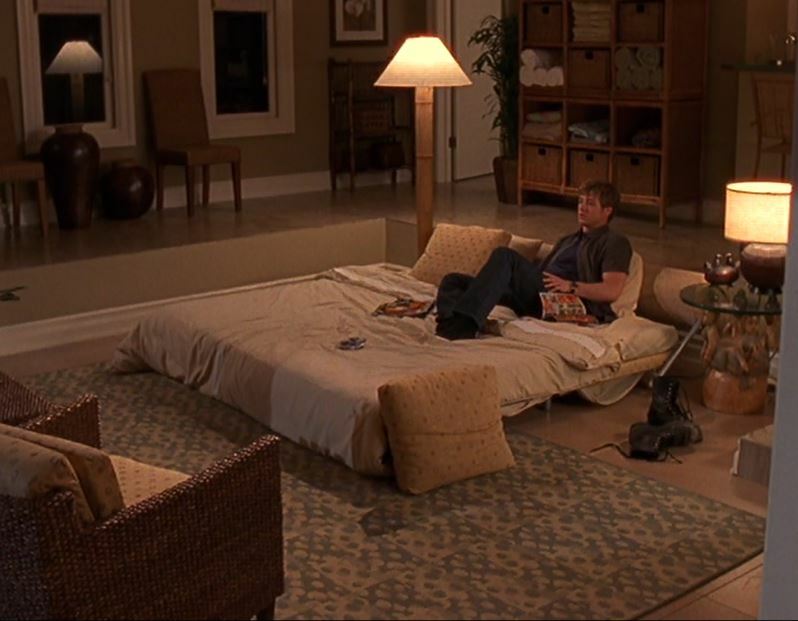 I had to go back and take screenshots from “The O.C.” so I could compare the two and make sure it was really the same place! 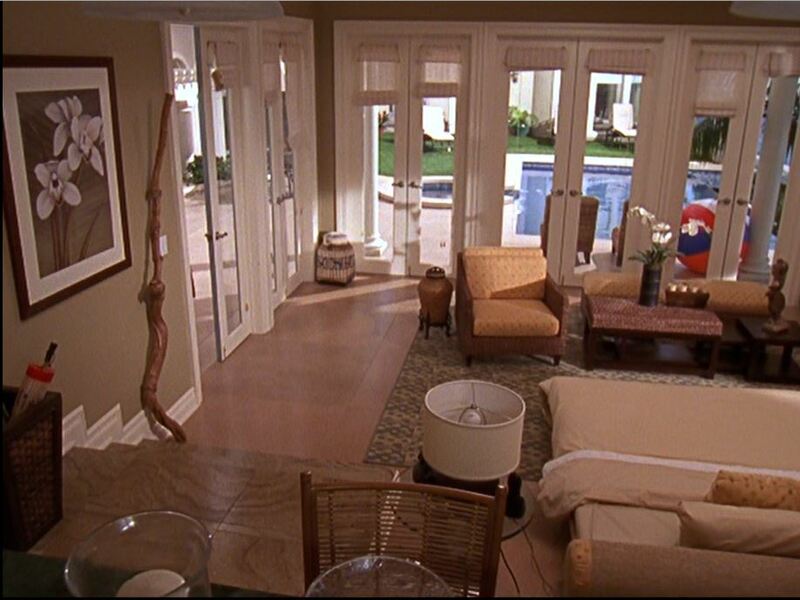 It was built in 2002, so it was new when the exteriors were shot for the show. It has 6 bedrooms, 6 baths, and 6,376 square feet. We did see the back of this house in the final episode of the series, though, when the Cohen family is house hunting. Kind of funny that they pretended the back of their own house was one they were considering buying! 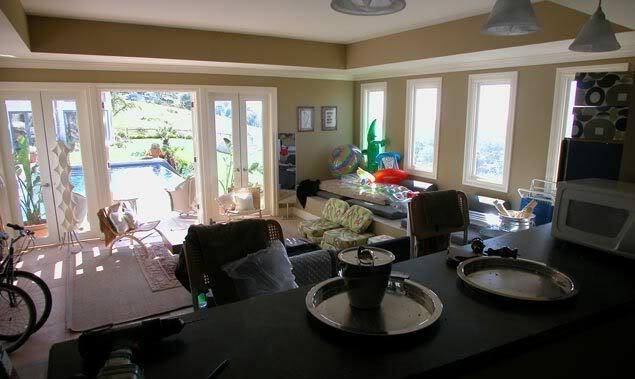 I found these listing photos of the house from when it was on the market in 2011. Early episodes were shot here, down the street from the other house in Malibu. 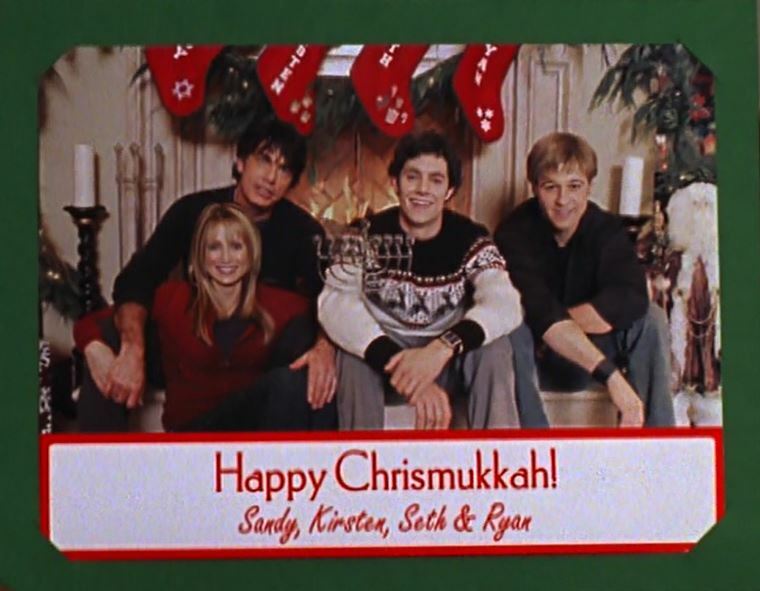 Seth created “Chrismukkah” blend the traditions of his Jewish dad and Christian mom…and to get more gifts during the holidays! The pool house wasn’t the only thing that was kind of faked. The pool they recreated on the set was only four feet deep, so the actors had to either crouch down or stand on their knees for those scenes. 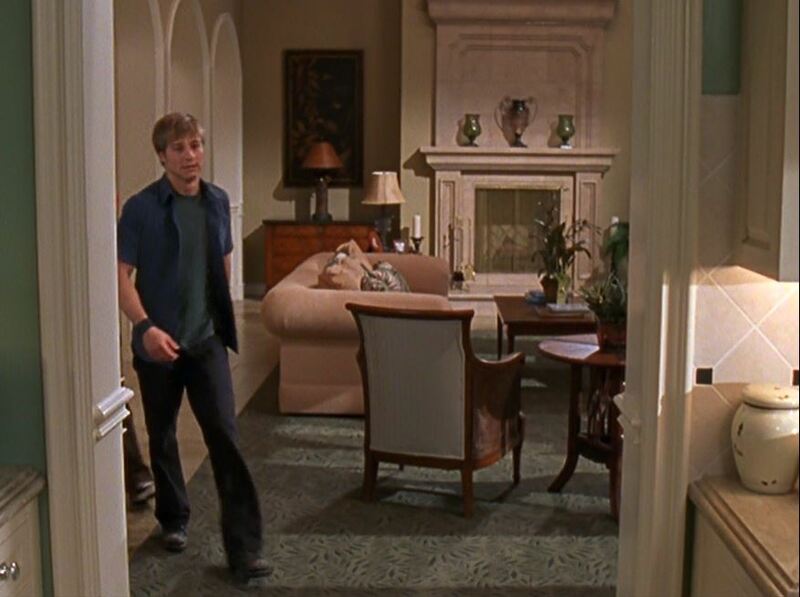 Did it strike anyone else as kind of funny that in a house this size they didn’t have a guest room for Ryan? When Kirsten’s sister comes to visit, he has to sleep on the living room couch! Peter Gallagher, who played dad Sandy Cohen, was the first actor cast, and his portrayal of the character set the tone for the show. They struggled to find the right person to play Ryan and hired Ben McKenzie last, within days of shooting the pilot. 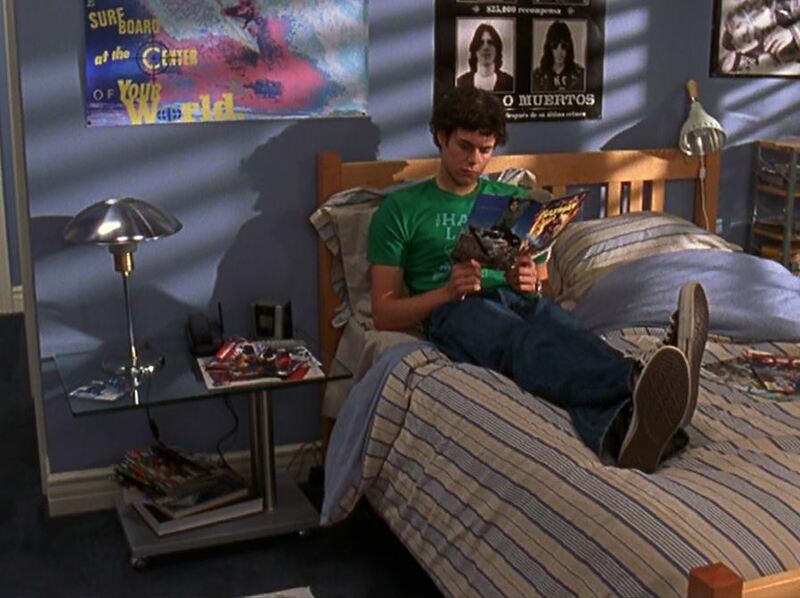 He hadn’t really done much before “The O.C.” The show made stars out of young actors like him, Adam Brody, Rachel Bilson, and Mischa Barton. 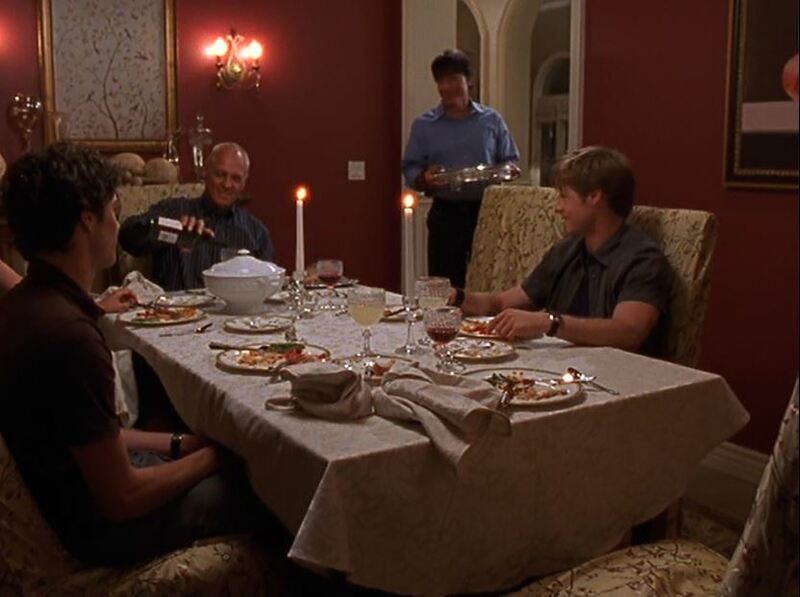 For more photos and information about the filming locations used on “The O.C.”: the current listing for the house where the front exterior shots were filmed; the 2011 listing for the house where the interiors and backyard scenes were shot; info on the missing poolhouse at Seeing Stars; and lots of series trivia on HuffPo that answers burning questions like why Mischa Barton left the show. 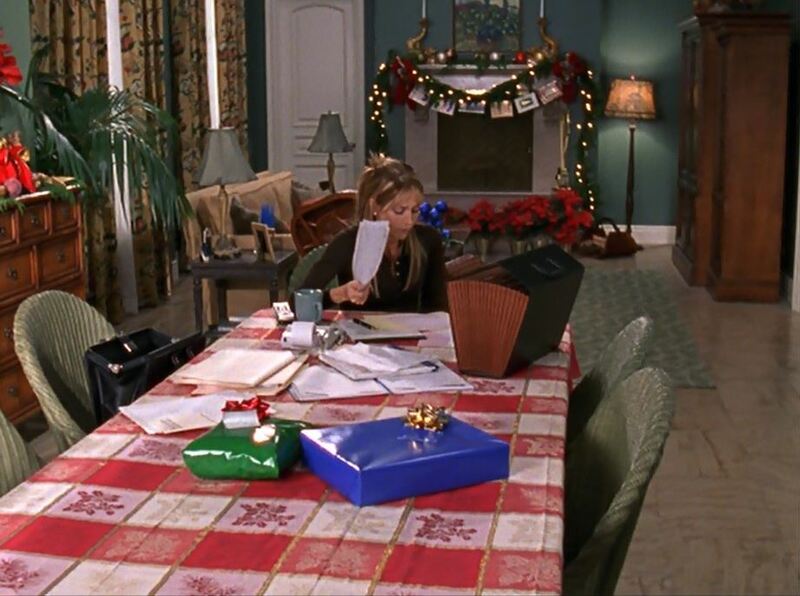 I actually didn’t watch this show, but I much prefer the real house interiors to the set versions. 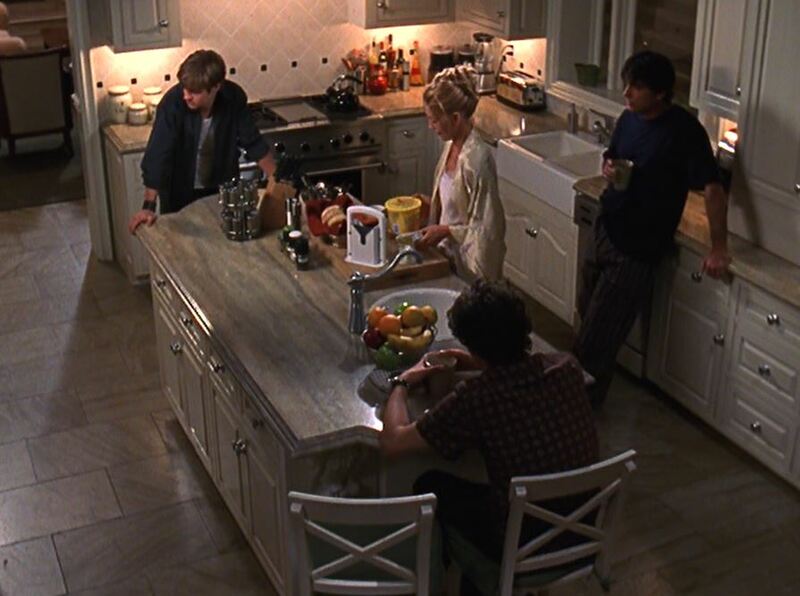 The sets seem so dark and dated compared to the real homes. I also much prefer the current exterior to the show version. I like the established feel that the plants lend the entrance area. Goodness, the inside of the set house is so tacky! Not your style, huh? Funny how dated it looks already! Hi Julia! Great post as usual! 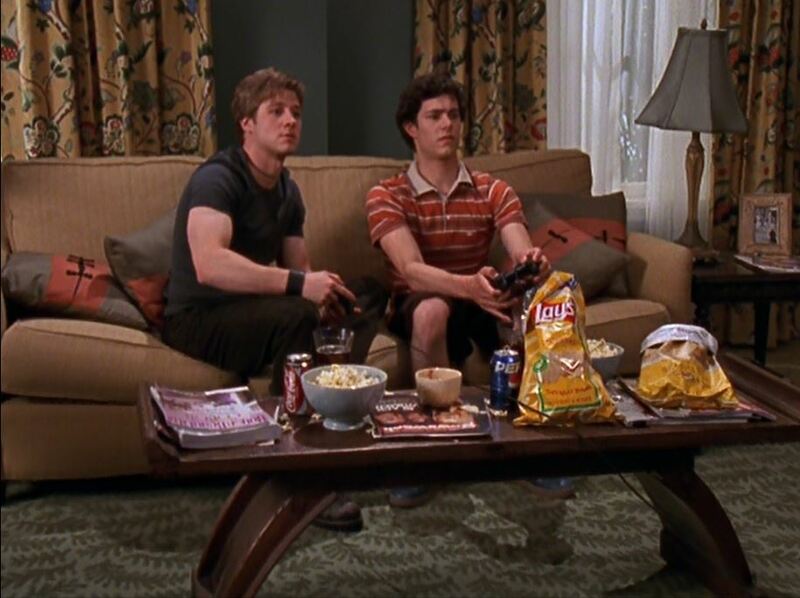 I used to be a fan of The O.C, too bad the last couple seasons got kind of dark. But I guess that’s how life in Big Ol’ California could get sometimes, right? I love all of your posts, but when you mix TV Shows and Houses? those are simply the best! I specially love when you throw a few snippets of the show among the amazing pictures and info you always find about the houses. Julia, you must be great at those “what is different in this picture?” comparison games! I learned something from comparing the original exterior (set) pictures with the current ones: They painted a dark line just under the roofline, while leaving the rest of the soffit the same color as the house. They also painted the window trim the same color (dark brown, looks like). Look how much depth and interest it gives to the exterior! I also like how they changed the color of the garage doors and front door to that gray-blue color and added the gate and all the landscaping. Really ups the curb appeal. I do love that game! Ha. You noticed some things I didn’t, though. I think it was smart of them to paint the house darker and cover up those little square windows that gave the house a more contemporary look from the outside, although I’d miss the light they probably brought in before! I was a huge fan of the show, but when I tried to rewatch about a year ago, I couldn’t make myself go beyond season 2. I don’t think the show has the same rewatch value as Gilmore Girls (at least to me). 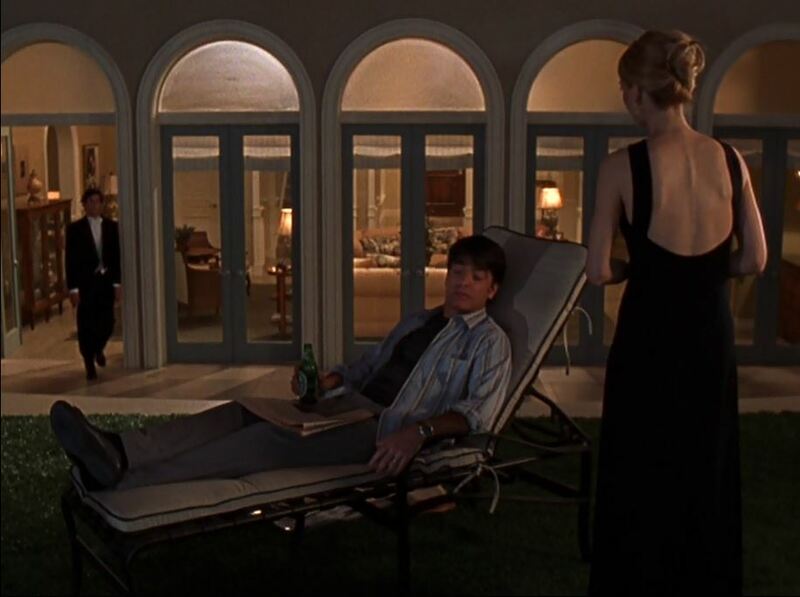 To the house itself: I knew about the fake poolhouse and 4ft deep pool on the soundstage ( I think the reason was that with all the water, the construction couldn’t have been supported enough if they had made a regular sized pool). 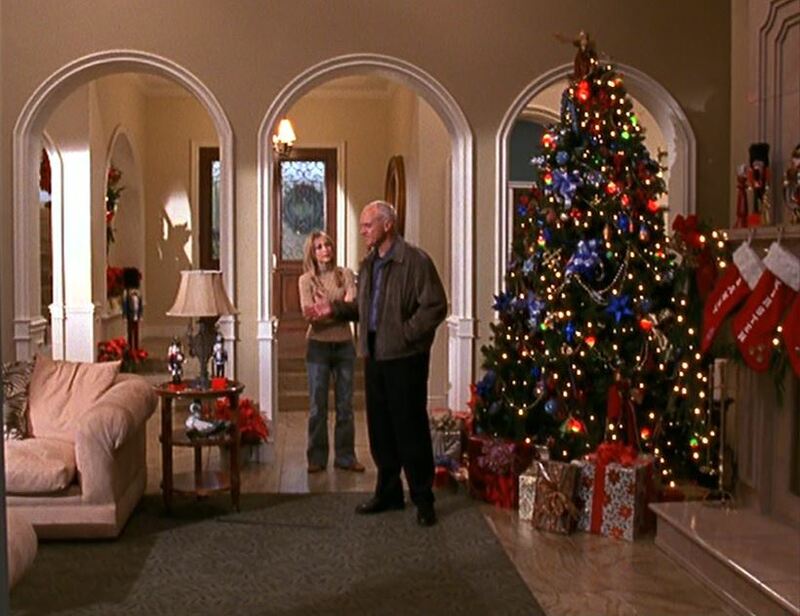 I actually do like the original better, because I didn’t like the greens in the Cohen house. I, too, always thought it was strange that this huge house didn’t have enough rooms. 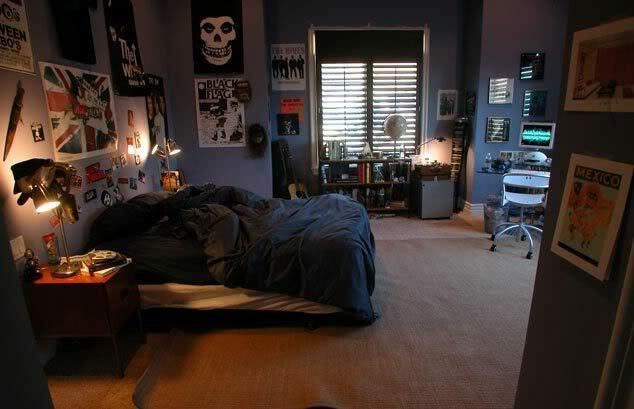 A guest room is mentioned at one point, but never shown. 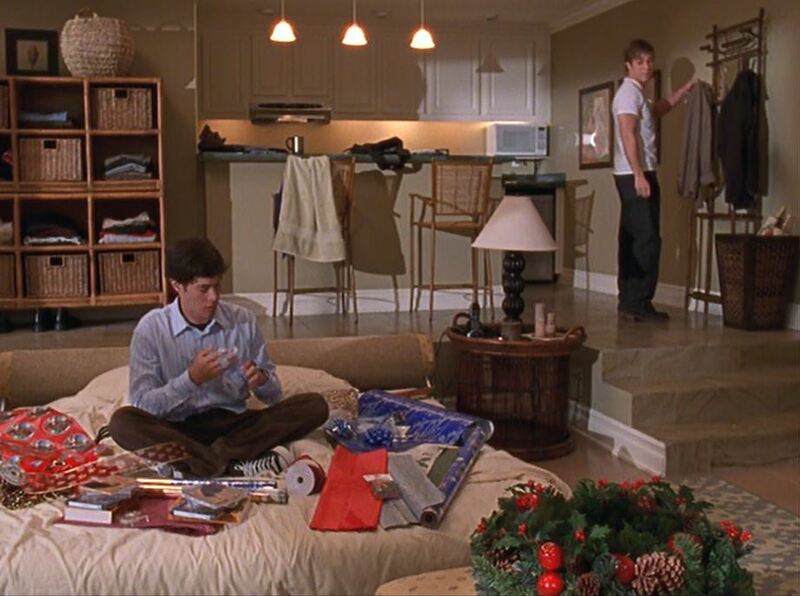 The master bedroom is off the living room, hence Seth’s room and the imaginary guest room would be the only ones on the second floor?! That’s just weird, since we get to see the exteriors of the house and know there’s not just a partial second floor. I have to agree that after the second season I started losing interest. 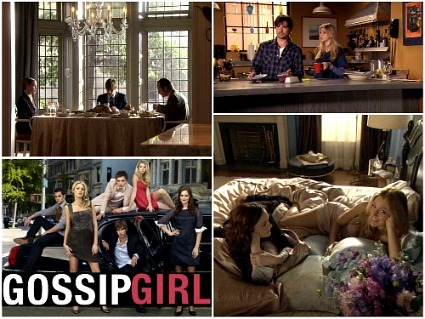 The final season wasn’t as much fun to watch, and I started fast-forwarding a lot! 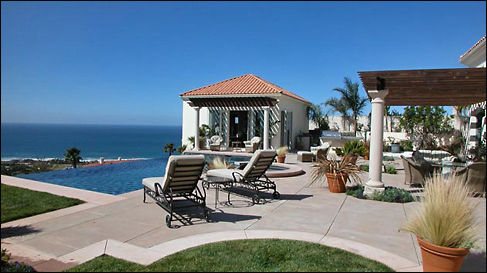 The real Malibu homes shown here are stunning. I especially like all the windows and light coming into the homes! And let’s not forget the to-die-for views!!! After seeing your pics of the house used on the show, I kind of wish I’d seen it. It’s not my style, but it looks interesting none the less.